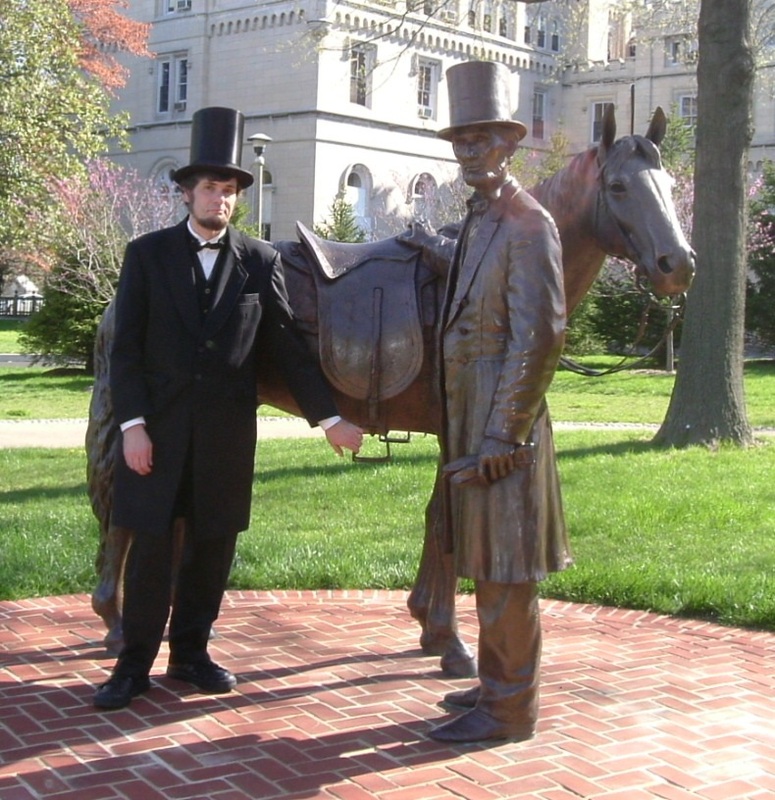 Whit McMahan portrays President Abraham Lincoln in the first person for all age groups and has been a life member of the Association of Lincoln Presenters since 2004. Since 2003, I have been been bringing the Sixteenth President back to life through his wisdom and humor. "Life of Lincoln", my adult program, includes a story of President Abraham Lincoln's life through the war years and tragic end at Ford's Theater. I have designed my adult talks to entertain, educate, and motivate listeners. I will also add period music and patriotic decor. My children's presentations are adapted for age four and up, including an illustration of period toys. Since my childhood, I have been an admirer of the Sixteenth American President, known as the Great Emancipator. Born in the old county of Jefferson Davis' birth in Hopkinsville, Kentucky, I made stops throughout my ​youth at Abraham Lincoln's birthplace near Hodgenville, Kentucky whenever our family visited the region. I'm not sure why I liked to visit so often, but it seemed like a nice, serene place. I can portray President Lincoln in the first person for all age groups. Throughout the years, I have visited retirement centers, schools, battle fields, libraries, and more. Please send me an invite and I'll be glad to put on a good show. I generally do my presentations on Mondays and Fridays, with Saturday as a backup day. However, I can also accommodate other schedules if arranged in advance. I generally present in Middle Tennessee. No stage required, just a large gathering area. Patriotic decor furnished (34 star flag, fans, garland). Need a table (5-6 feet in length) to set up my display of materials. Need private access to the area 1:15 minutes early in order to set up. Need someone to read an introduction and press a start button on my audio unit to begin the program music. I will provide the introduction and operate the music during the program. I have been inspired by the many members of the Association of Lincoln Presenters, an organization of men and women dedicated to bringing Abraham and Mary Lincoln to life. I have made over one hundred appearances, including 40 retirement centers, 12 conventions, 12 festivals, and a few forts, libraries, and schools. Recent review: Best Illusionist we've seen. Amazed the audience with some spectacular tricks.